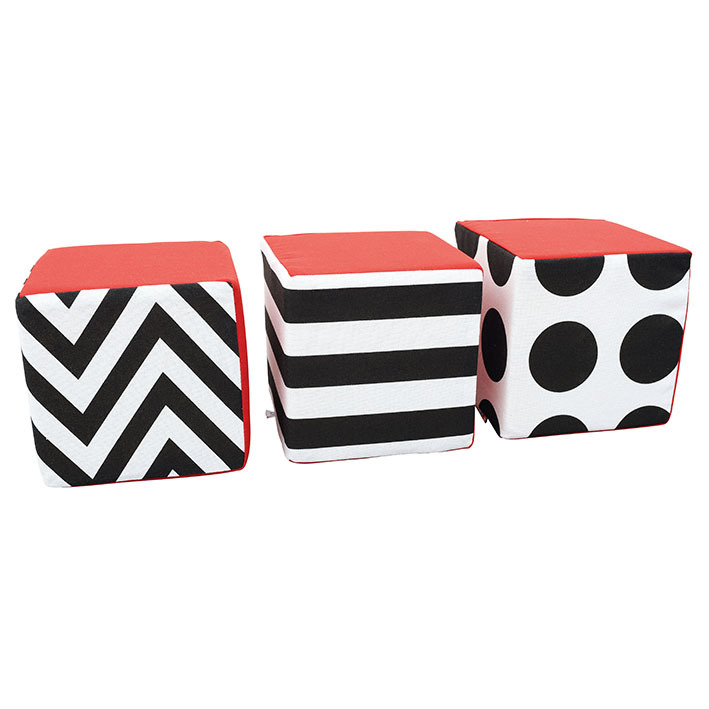 Soft contrast cubes are perfect for young children – cubes are safe and pleasant to touch and colours stimulate sight. Each cube has 3 red sides and 3 black and white different pattern sides. Made from cotton fabric and foam.